Have you been looking for a natural based, non-chemical mouthwash? 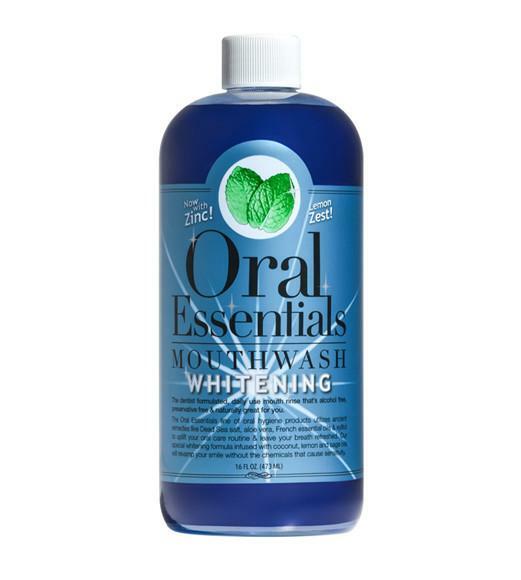 I recently found one called Oral Essentials Teeth Whitening Mouthwash. This is the first natural based mouthwash I've found that freshens my breath and really whitens my teeth with a natural based formula that's non-irritating with no harsh chemicals and it actually works! Oral Essentials is the product of two forward thinking doctors who were fed up with the products that were available to them, their families, and their patients. Kourosh Maddahi, DDS, a best-selling author and pioneer of the subfield Anti-Aging Dentistry and internationally best selling book The Hidden Epidemics, was inspired by the study of an esteemed colleague, Hessam Nowzari, DDS, PhD, the youngest ever Director of Advanced Periodontics at USC. Dr. Nowzari had conducted an unprecedented study in the Philippines on homeless orphans suffering from advanced gum disease. Over the 10-year study Dr. Nowzari simply had the children rub sea salt on their gums twice a day. By the end of those 10 years, the disease had vanished in every case. Most toothpastes and mouthwashes boast whitening claims on their packaging these days but the majority of these over the counter whitening products is they either use hydrogen peroxide or baking soda to whiten your teeth. While both of these ingredients are highly effective at creating a dazzling white smile, they also both wear down enamel, causing tooth sensitivity over time. That leads to tooth pain and no one wants to deal with that! 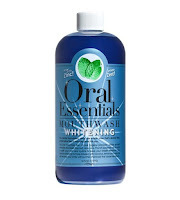 Oral Essentials Whitening Formula is a dentist formulated and recommended! Because it doesn’t use hydrogen peroxide or baking soda to create whiter teeth, it doesn’t cause sensitivity. Instead of these abrasive ingredients, they use natural ingredients like coconut oil, lemon peel oil, and sage oil to whiten teeth without sensitivity. I love this mouthwash not only because it works but you get so much for the value. Everytime I use this mouthwash my teeth appear to be at least a shade whiter! And at 16 oz. for $12.99, it's affordable to use a safer whitening mouthwash to whiten and freshen your breath! To learn more or order yours, please visit: Oral Essentials.